Lisa Anson, President of AstraZeneca UK & Ireland, talks to pharmaphorum about living through Pfizer’s takeover bid and the company’s expanding presence in diabetes and respiratory disease. As 2014 draws to a close, AstraZeneca (AZ) will look back on the year as one of its most tumultuous ever, with the £69.5 billion ($116 billion) takeover bid from Pfizer preoccupying the UK-headquartered company’s leadership for much of the year. After an intense month-long battle in May, chief executive Pascal Soriot and AZ’s board successfully repelled Pfizer’s tax inversion-based merger bid but, in the process, Soriot pledged that the company could perform a stellar turnaround in its performance as a standalone company; the promise to investors is that the firm can double its revenues to £26.7 billion ($45 billion) within the next decade. This is a very ambitious goal, as the firm has suffered long-running problems with its R&D productivity, and is going through a protracted series of patent expiries of blockbusters drugs which continue to undermine revenues. Soriot has been chief executive since 2012, and has quickly set about remodelling AZ: cutting further jobs, focusing on fewer strategic therapy areas, making mid-sized acquisitions, and forging many more external partnerships. 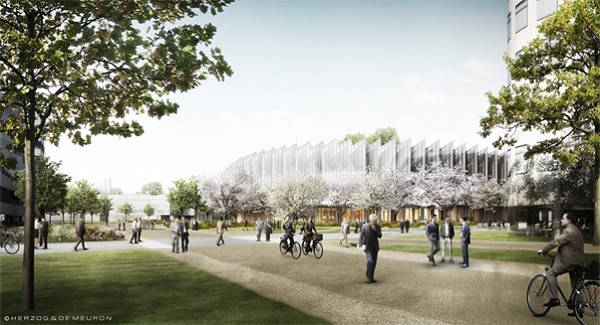 The firm is already well under way in its plans to unify global commercial operations and R&D in England’s science hotspot, Cambridge, from 2016. All of these moves pre-date the Pfizer episode, but the takeover bid has undoubtedly added extra urgency to AZ’s regeneration goals. A number of developments in the last few months – including the US government changes to tax inversion rules – suggest a renewed bid from Pfizer is unlikely. For AZ, that means the hard work of fulfilling its growth promises is just beginning. The company had good news to announce at its recent Q3 financial results, with 5 per cent growth across the business, and 16 per cent growth across six ‘growth platforms’: its diabetes, respiratory portfolios, emerging markets, cardiovascular drug Brilinta, Japan (the second biggest pharma market in the world) and oncology, newly added to the list. The firm has announced many alliances, acquisitions and clinical trial data read-outs across its portfolio in 2014 to lay the foundation for further growth. Among the most significant moves made this year were the buying out of Bristol-Myers Squibb (BMS) from their joint venture in diabetes, and the acquisition of Almirall’s respiratory portfolio. These two deals have been generally greeted by investors as savvy moves, and help AZ increase its presence in these key therapy areas; but the firm still has much to prove about its regeneration in the coming years. As a UK-headquartered company, AZ has deep roots in the country, and invests a large proportion of its research budget here: nearly 70 per cent of the products in its current development pipeline were discovered and developed in the UK. This includes 101 clinical trials in 431 different centres being conducted across the country. But that doesn’t make it any easier for the company’s products to gain traction in the publicly-funded National Health Service (NHS), and AZ must prove the value of its products to national bodies such as England’s cost-effectiveness watchdog NICE, but also local decision makers. The UK doesn’t represent a huge slice of the global pharma market but it is, nevertheless, a key market for the pharma industry, as the NHS’ acceptance of new products, and its new demands on pharma are closely watched and copied around the world. The President of AZ UK & Ireland is Lisa Anson, who has been in the post since January 2012, and is leading the company’s regeneration in its home market. Like every other company operating in the UK market, AZ is dealing with a changing customer base in the NHS, and continued problems with uptake of new medicines, which industry body the ABPI describes as ‘low and slow’. 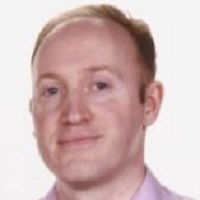 Despite these perennial gripes, the company has plenty to talk to the NHS about: its newly expanded presence in respiratory medicine, and taking sole control of its diabetes franchise could make the firm a partner of choice in the all-important primary care sector. Speaking to pharmaphorum, Lisa Anson said the UK company was confident about its portfolio and its future. She emphasised collaborative work already being done between it and local NHS organisations and charities, but said more close working was still needed. She also expressed frustration at continued barriers to uptake of new medicines, and ongoing variation in this uptake from region to region, even when drugs have approval from NICE. While all these themes are important, my first question for Lisa Anson was an obvious choice: how did AZ UK cope with the Pfizer takeover bid, during which time the company’s future direction hung in the balance? Takeover rules require Anson to stay-tight lipped, but she says the UK business did its best to stay focused during the intense period. AZ has identified diabetes as one of the core areas of its business, and for continued growth. This focus was boosted this year when AZ completed its buy out of BMS from their co-marketing partnership in diabetes. This gives AZ sole rights to a major diabetes portfolio: Onglyza, an oral DPP-4 inhibitor, the injectable GLP-1 drug Bydureon, and Forxiga, first in the most recent class of SGLT2 drugs, approved in the EU in November 2012. Anson highlights the particular promise of Forxiga (dapagliflozin), because it could help progress how diabetes is treated. Forxiga offers not only HbA1c control, but also weight reduction as a secondary benefit, something which could make a long term difference to how the condition progresses – or otherwise – in patients. The drug gained final NICE approval in June 2013, and Anson says this recommendation, combined with the other drugs in the portfolio, gives the firm a lot to offer healthcare professionals and patients. “We’re the only company to have that position and we think that’s a really great platform to build a successful diabetes business and make a difference,” says Anson. AZ’s avowed aim is to be in the top three companies globally in the diabetes market, putting it in competition with two companies with deep roots in the therapy area, Novo Nordisk and Sanofi. These two companies have very significant presence in the insulin market (primarily for people with type 1 diabetes) and oral products, used by people with type 2 diabetes. In contrast, AZ’s portfolio includes a range of oral treatments and an injectable GLP-1, but no insulin. So can the company achieve its ambitions without a presence in the insulin market? She adds: “It’s not just about insulin and metformin, there are many options in between. For instance, Forxiga brings an oral option for patients to control blood glucose and lose weight as a secondary benefit, and potentially change the trajectory of their disease earlier in the pathway, and we think that’s very exciting. The growing incidence of diabetes in the UK is one of the greatest health problems of today and the future: there are an estimated 3.2 million people with diabetes in the UK today, representing 6 per cent of all adults. This doesn’t include all the many hundreds of thousands of undiagnosed cases, and these figures are expected to keep on rising in the coming years. Anson says everybody working in the diabetes field in the UK knows the scale of the problem, but adds that the continued upward trend in people whose diabetes is not under control is a concern (see NHS Challenges graphic). This is fuelling the growing number of severe complications arising from diabetes – including cardiac failure, stroke and kidney failure. “Eighty per cent of the costs of dealing with diabetes are associated with the complications, which doesn’t leave much [NHS funding and resources] for aspects of diabetes prevention and treatment,” she says. Anson says that one of the frustrations of the market in England is that there is great variability in uptake of new medicines across the country – even when a drug has gained NICE approval. One major reason for this is that some local Clinical Commissioning Groups (CCGs) block use of newer, more costly, medicines. She states: “Clinicians should be free to prescribe a NICE-approved medicine, and that is not the case in all of the practices and trusts and CCGs across the UK. “Actually, I think [Forxiga’s] SGLT2 class has a relatively good access picture but, nonetheless, a year after NICE approval only two thirds of practices [had] access to it. That reflects the slow uptake we see in innovative new medicines across the UK, not just in diabetes. Something which should have helped alleviate this problem is the new UK-wide pricing deal, the new Pharmaceutical Price Regulation Scheme (PPRS), which was introduced in January 2014. The deal is novel for the UK, in that it guarantees a ceiling to the NHS drugs bill, with rebates provided by pharma. This means that the industry is effectively underwriting the health service drugs budget, which, theoretically, means the NHS could prescribe freely and never pay more than the agreed levels. Anson says: “We’ve never had a deal like this, this is ground breaking,” not only because of the stability and predictability it brings for both sides, but also for other provisions included in the agreement. The new PPRS also stipulates that the health service must work with the industry on a programme of ‘medicines optimisation’. “That is basically to make sure that the right patient gets the right treatment at the right time, and the investment in medicines is made the most of. Of course that’s something that AstraZeneca supports, as does the whole industry,” says Anson. The PPRS also offers an opportunity for changing how funding flows around the NHS for treatments, which should help improve services in the long run. However this is something that the ABPI and companies are still working to realise. Meanwhile, over the course of 2014, it has become clear that the NHS is not taking the PPRS budget cap into account, meaning that savings are still being sought in new medicines prescribing, and still in NICE-approved medicines. This is making it difficult for companies to maximise the potential of the PPRS deal, against a backdrop of an otherwise cash-strapped NHS struggling to match its static budget with fast-growing demand for care. In order to fulfil its ambitious growth targets, AZ is going to have to launch lots of new drugs in the next few years, on top of growth from existing products. The company forecasts that it will gain 8-10 new approvals in 2015-2016 across a spectrum of therapy areas, a feat rarely achieved in the sector. Just announced in early December was the European approval of Moventig (naloxegol) for the treatment of opioid-induced constipation (OIC) in adult patients who have had an inadequate response to laxatives. While not in the most glamorous therapy area, the drug is a first-in-class treatment, and meets a large unmet medical need in millions of patients, such as cancer patients receiving opioid treatment for pain. Among the highlights for 2015 is Lynparza (olaparib) a first-in-class oral maintenance treatment for BRCA-mutated ovarian cancer, a cancer which currently has few treatments. The drug has just gained final EU approval, which should mean a launch in the first half of the year. The firm also recently brought forward the filing date for a new lung cancer treatment, AZD9291, which is now expected to be submitted for US approval in the second quarter of 2015. If and when the new drug reaches the market, AZ will have achieved a key launch in a lucrative area of high unmet need – something which has been in short supply for it in recent years – but just the kind of news the firm needs to build its momentum towards its ambitious goals.